Halloween can be some people’s favorite holiday. 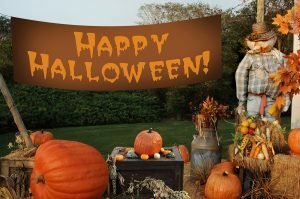 Whether it’s fun sized candy, making your own costume, setting up spooky decorations inside or outside your home or carving pumpkins, Halloween brings many of us joy. However, this holiday can increase your risk for an expensive liability claim if you’re not careful. Follow these five tips to ensure your holiday is fun and safe. Prep Your Home for Trick-or-Treaters. Even if you don’t decorate the outside of your home, be sure your sidewalks, driveway and the entrance leading up to your front door is clear. You are liable if a child or adult trips on a broken branch, garden house or electrical cord on your property. Keep Your Pets Indoors. Sometimes animals can be frightened by strangers or unusual noises. To avoid a dog bite claim, keep your animals inside in a separate room. The door bell ringing several times an hour can get your animal too excited or scared. Be sure they get a treat too. Use LED candles. This can help prevent any trick-or-treater from knocking over lit candles close to your home. For your carved pumpkin, LED candles are much easier to use and can prevent any unwanted burns compared to lighting a candle. Drive Slowly. If you find yourself driving home in the dark on Halloween night, be extra cautious of children and adults walking around your neighborhood who may not be using proper lighting. Be aware of your speed and don’t be a distracted driver. Carry the right tools. If you plan to go out for trick-or-treating, be sure you have a flash light and a fully charged cell phone in the case you need to make an emergency call. Stay on the sidewalks and avoid walking through yards. So, if you’re looking for insurance in Gilbert, give us a call. Founded in 2005, Insurance Brokers of Arizona is a leader in quality protection for individuals, families and businesses throughout the Southwest. Insurance Brokers of Arizona is currently licensed in Arizona and California. Providing world class customer service with our extremely experienced and knowledgeable team, paired with our ability to understand our customer’s coverage needs, drives the success of our agency. By offering protection for your Auto, Home, Business and Health Insurance, we make sure that you’re covered today, as well as in the future, so that you can focus on what is important to you and your family. At Insurance Brokers of Arizona our #1 job is to assist you in identifying your needs and problems, while putting together a customized plan that’s simple and easy to understand. Do I Need to Keep My Insurance During The Off-Season? It’s now time to enjoy some amazing fall camping excursions, calm boating on the lake or a motorcycle road trip. Each year we’re asked by many of our customers about the possibility to cancel your insurance policies on your summer toys like motorcycles, RVs, boats and ATVs. While you may not be using these alternative vehicles during the fall and winter months, your vehicles may be damaged and insurance claim would need to be opened. If you cancelled your insurance policy, you may be forced to pay for repairs or replacements out-of-pocket. During the cooler months while your toys are parked events can occur that could get expensive without a valid insurance policy. Comprehensive insurance claims: Even though your vehicles are secured, theft or vandalism can still occur at any time. Having to pay out-of-pocket to repaint, repair or replace your toy could put a serious strain on your finances. Catastrophic events like floods or fires can occur during the off-season. If your comprehensive insurance policy is not in effect, you may be responsible to pay to replace your toys without assistance from your insurance carrier. Liability insurance claims: Accidents can happen at any time, even if your toy is secure. During a party at your home someone thinks it would be great to take a picture on your Harley. They hop on and fall over damaging both your bike and themselves. Even if you did not give them permission to do so, you may be legally responsible for their injuries. Without a liability insurance policy in effect, you may be responsible to pay for the injured party’s medical bills and recovery costs. 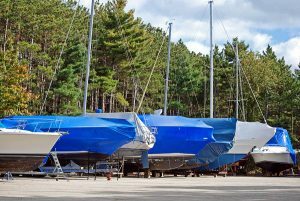 Your RV or Boat is parked in an off-season boat/rv storage facility and is damaged when an unknown party backs their vehicle into it. They don’t leave their information. These are just a few of the many claims that can occur in the off-season. Some carriers understand that these vehicles are not used year-round and the premiums reflect the high and the low season. Keeping your motorcycle insurance, RV insurance, ATV insurance or boat insurance in effect during the off-season may not only save your from a costly out-of-pocket repairs or medical payments, keeping a year-round policy may also save you money on your policy premium. Ask your insurance agent today about the benefits of keeping a comprehensive and liability insurance policy on your toys all year! https://insurancebrokersofaz.com/wp-content/uploads/2016/10/boat-offseason.jpg 602 900 Administrator https://insurancebrokersofaz.com/wp-content/uploads/2018/10/IBOAZ-Transparent-Logo.png Administrator2016-10-14 09:53:562016-10-14 09:53:56Do I Need to Keep My Insurance During The Off-Season?